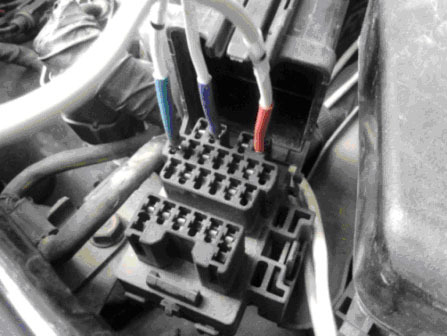 Below you will find a description of how to connect ELM327 to pre-CAN Mazda vehicles equipped with 17-pin DLC connector instead of 16-pin OBD2. The procedure may be not valid for CAN vehicles, as well as for models manufactured for the US market. 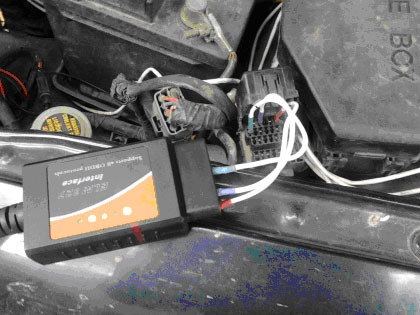 These vehicles are equipped with the standard OBD2 jack and shoudl be connected with no modifications. Mazda 323 BA, Mazda 323 BJ - KLN/MEN pin. ELM327 side K-Line/ISO9141-2 pin. Mazda 626 GE - KLN/MEN pin. 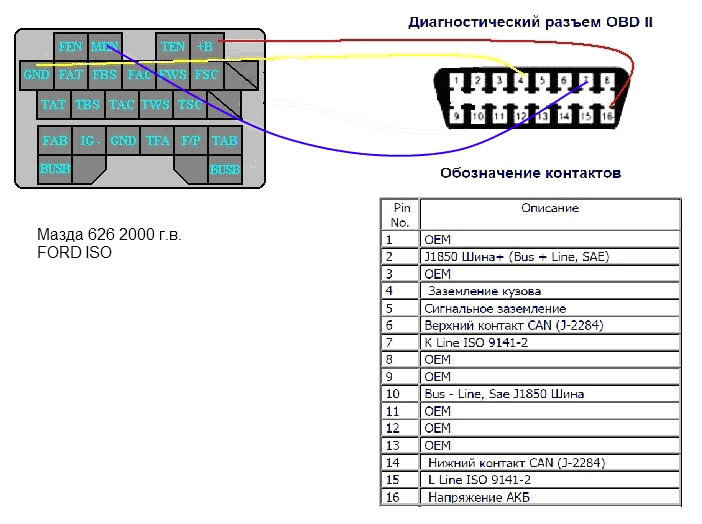 ELM327 side K-Line/ISO9141-2 pin. Mazda 626 GF before restyling - BUS+ and BUS- pins. ELM327 side - J1850PWM pins. Mazda 626 GF after restyling - KLN/MEN pin. 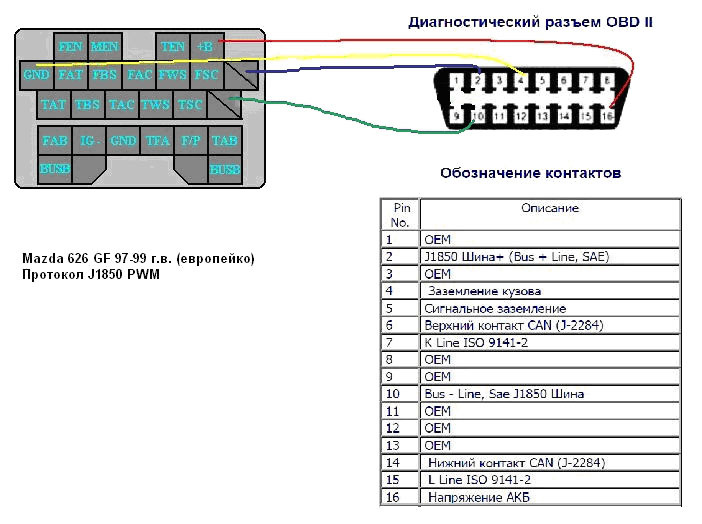 ELM327 side K-Line/ISO9141-2 pin. 3. Turn the ignition on, run FORScan and enjoy. Minimal experience with a soldering-iron is enough to install a standard OBD2 jack purchased in a radios shop. All the tests were performed for the vehicles manufactured for the EU market. Right-hand drives may have differencies. Models for the US market are equipped with the standard OBD2 jack starting from 1996.